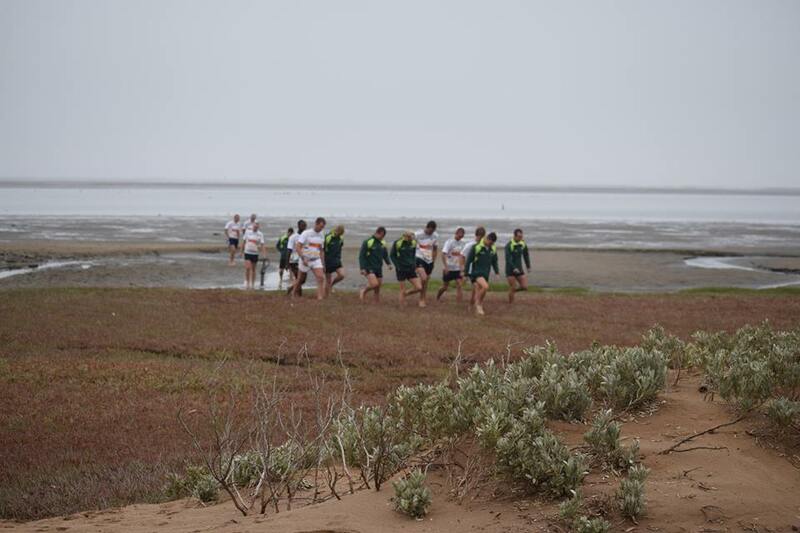 Pictured: Rugby players from Hoër Volkskool in Heidelberg and other members of the public assisted the crew of the Namibian Dolphin Project to rescue two stranded dolphins in the Walvis Bay Lagoon. – Photos: Namibia Dolphin Project & Niël Terblanché. 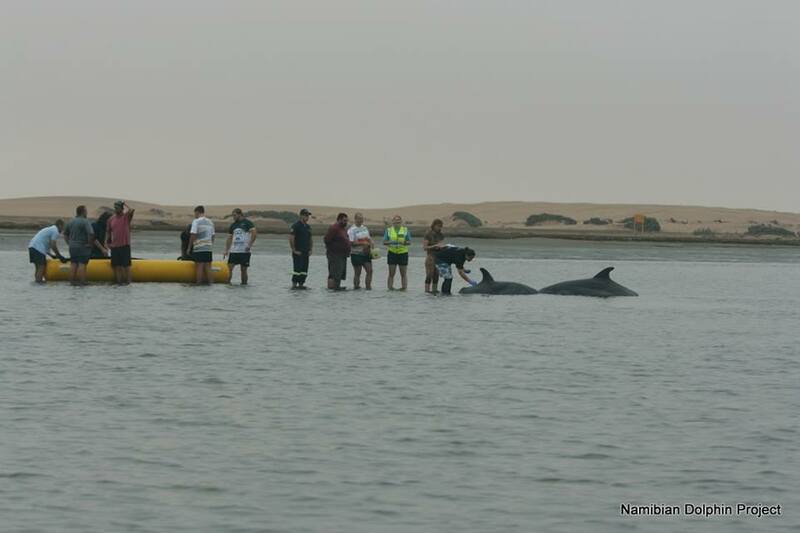 A SCHOOL rugby team visiting Walvis Bay on a tour of Namibia had an extraordinary experience when they were asked to assist in rescuing stranded dolphins in the lagoon on Friday morning. JJ Du Plessis a member of the rugby team and a learner at the Hoër Volkskool in Heidelberg, a town near Johannesburg, said they were busy sharpening their skills during a practice session on the rugby pitch at the Walvis Bay Private High School when the call for them to assist came. “We all jumped in the bus and off we went. 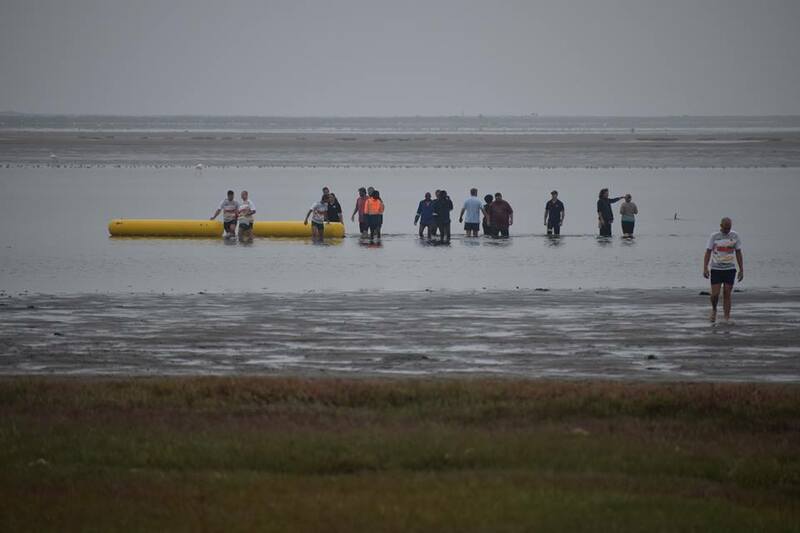 None of us knew how far we had to go but after a short drive we arrived on the shore of the lagoon a short distance from town and we waded in to help the people already there,” JJ said. 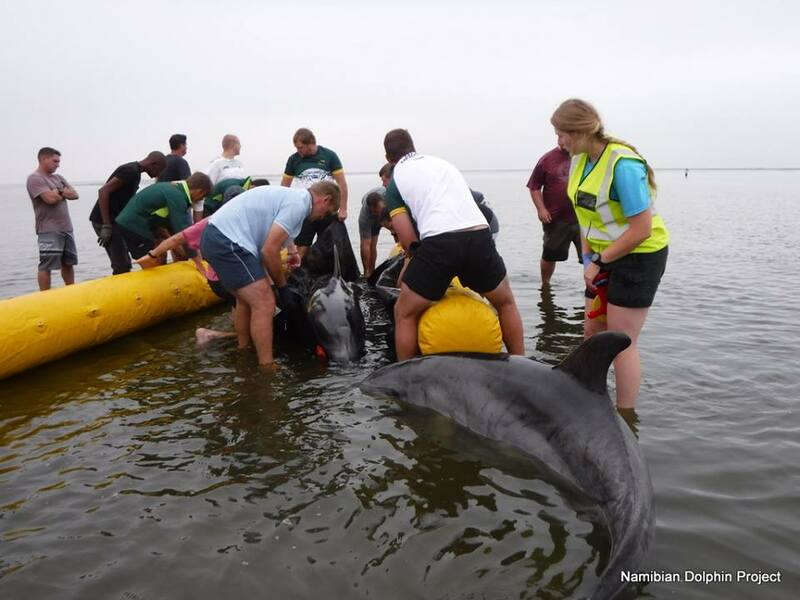 He said he and his team mates helped to lift the dolphins that stranded in the shallows of the lagoon onto tarpaulins and pontoons and then floating them out to deeper water. 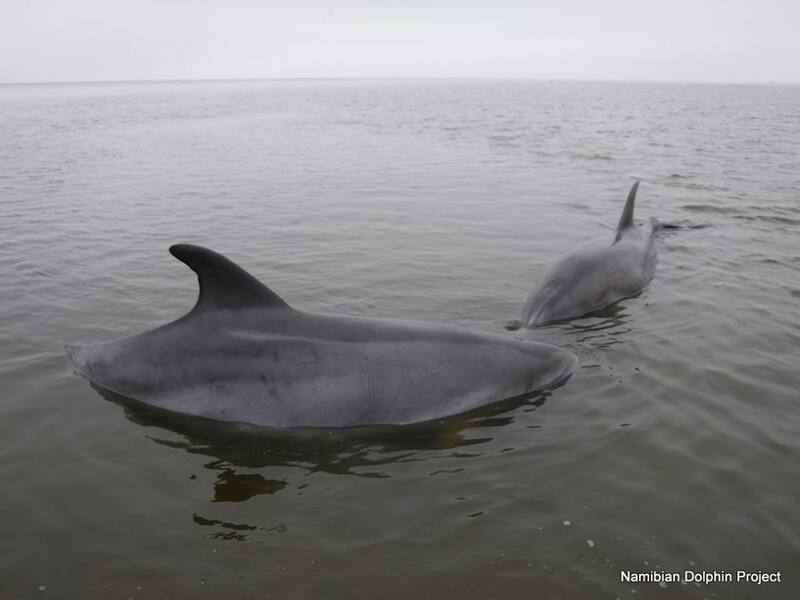 Jack Fearey, one of the volunteer marine scientists working for the Namibian Dolphin Project said they got the call that to two bottle nose dolphins was stranded in the lagoon just south of an outcrop known locally as Lover’s Hill. He said one of the kayak tour guides that drove past on the way to Pelican Point alerted the dolphin project team to the plight of the dolphins. 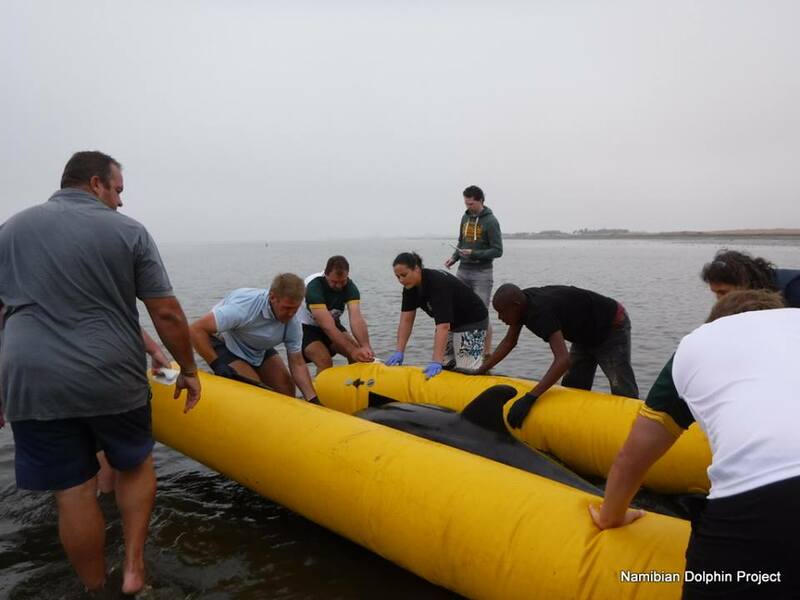 Jack said while the dolphin project crew members were taking basic measurements and going through the normal identification procedures, the refloatation equipment was prepared and all hands made ready as they prepared to move the animals safely to deeper waters. 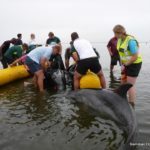 They were soon successfully refloated and immediately carried on with their normal behaviour when they were released into one of the deeper channels. He thanked everyone who reported the stranding and assisted to free the dolphins . According to Jack the dolphins got stuck in the shallows while hunting for schools of small fish while the tide was going out.